The wedding venue is where your dreams come true! The average wedding in the Delaware Valley is roughly 40K-50K. Settling on a realistic budget is a great first step to filtering your list of potential wedding venues. It’s important to ask yourself what you can spend per guest at your venue, so you that you have enough for leftover for other important vendors. Find out if your parents are chipping in, and if they are, what is their budget? It is helpful when parents contribute, but sometimes this is not the case. Once you have a number on how much you can spend on your wedding, you’re one step closer to finding a venue that fits your needs. When Should You Contact A Venue? Contact a venue at least 1-2 years in advance of your desired wedding date, but if you are contacting and scheduling during the off-season (Dec., Jan., Feb., Mar. ), you can find great deals. Venues are quickly booked for weddings, so once you have a ring on your finger, find a venue. After this, finding a photographer is the next step in the process. When contacting venues about price options, think about the size of your wedding and the maximum compacity of the venue. Sometimes there are only 100 guests in a wedding, but a venue will make you pay for the 200-guest maximum. Some of the wedding venues host two weddings simultaneously. This means that another wedding is occurring at the same time as yours, and as a result, you are not the only bride or groom that day. Most couples want the wedding venue to focus on one wedding, where the venue has one bride and one groom for the entire day. 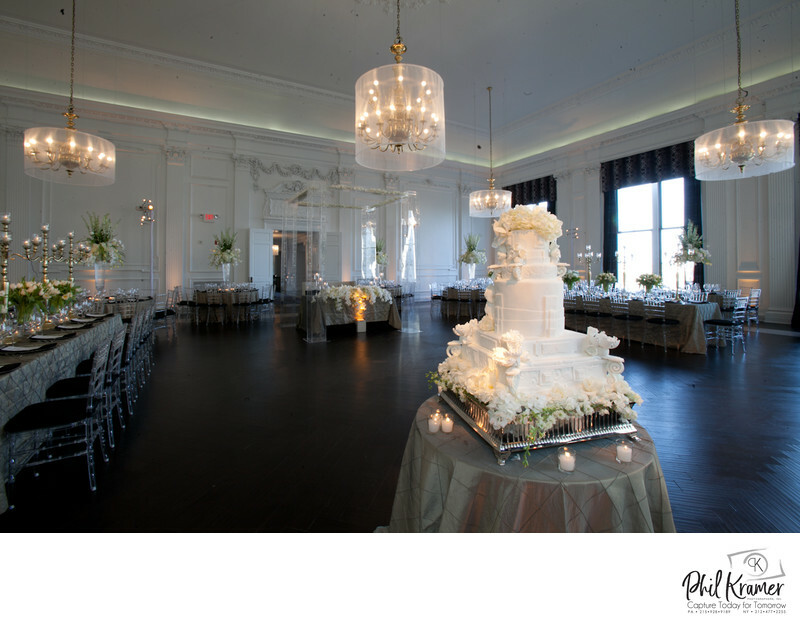 It’s perfectly fine to want a venue that devotes its attention to you—it’s your wedding day! It’s unfortunate when you want your photographer to take formals in the flower garden, but another bride is there. When a venue has two weddings occurring simultaneously, the wedding parties can intersect, and it can create confusion between guests. Sometimes they enter and exit through the same doors. Committing to a venue with a dual wedding does not devalue your wedding. Ask the venue about bathroom locations, entrances and exits to make sure your guests don't crash another wedding. Your main goal is to be at your wedding and have a great time! Venues place you on a tight schedule, which can become overwhelming, but it’s important to understand how a venue accommodates time for photography. If a venue grants you access onto their premises 3 hours before the ceremony, then take advantage of this. You want to avoid a photo session in the hallway during cocktail hour. If the venues closes it doors to you before the ceremony, then schedule a location for photos—preferably some place nearby. A short amount of time for photos is an issue with large wedding parties. I highly recommend having your ceremony and reception at one venue and bringing a priest. This method keeps your guests stationary for family formals and avoids the frustration of extra driving, especially if your venue is located in a congested area. 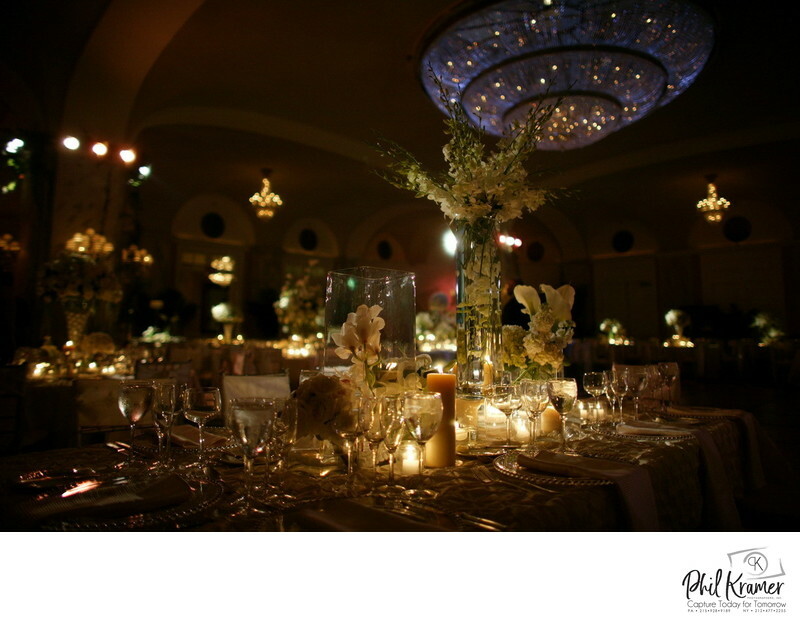 Great lighting will establish the tone of your wedding day and give the venue a mood. The amount of light required to make your wedding shine is difficult to determine while touring the venue or looking at a handful of pictures. Great lighting is worth investing in because it helps create amazing photography and video. Upright lighting is not strong enough to take care of all the necessities at your wedding—you need pin-spot lighting on the cake, the dance floor, the band and the sweetheart table shining bright, so that the room has texture and a three-dimensional feel. 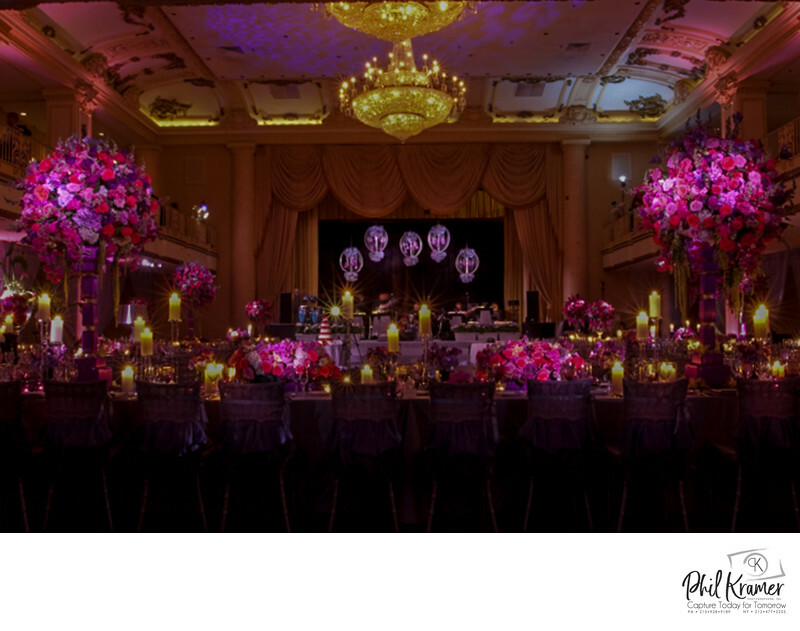 Determining on the size of your venue and the number of tables, this bill can sometimes run high, but good lighting is worth every penny. The best season to shop for a wedding venue is during the off-season of December, January, February and March. If you want to save some extra money, you can schedule your wedding on a Friday or Sunday because Saturday is the most popular day at a venue for weddings. A venue's most popular months for events are May, June, July, August, September and October, so if you’re scheduling your wedding during these months, most venues will charge you full price. If you prefer comfortable weather during your wedding, then those months are the sweet spot. Seeing a venue for yourself is the only way to determine if it fits your personality. Visiting a venue is different than viewing its pictures on the internet because sometimes photography is creating an attractive illusion and overexaggerating the space. Pictures can’t show everything. When you visit a venue, you need to see the layout, feel it and smell it. Don’t overlook cleanliness. Also, figure out if the venue fits your scale and can comfortably accommodate your guests. Make sure there is enough space and that guests do not have to traverse through public space, like a restaurant or lobby, to get to the ballroom. Wedding day transportation is a key factor in planning your wedding at a venue. Research the distance of a hotel to your venue and ask if there is a special rate for wedding parties or other guests. If you’re getting married at a hotel ballroom, then a special rate should apply. Large groups require large amounts of transportation, so determine how you’re transporting your guests. Classy, convenient ways include party bus, limousine and valet parking, which is sometimes included through the venue booking. These methods provide an elegant entrance for your guests, and they are a safer method of travelling. Wedding insurance is recommended because if something destructive happens to the venue within the time frame of your wedding, they will compensate your investment. Compared with the total cost of the wedding, this insurance policy is inexpensive. It is worth it because of the time, cost, and energy that you’re devoting to having your wedding at this venue. Past clients have purchased this and slept very easy at night. There’s a slim chance of anything happening, but there is still a possibility and it’s best to save yourself from this risk. As I previously stated, the wedding venue is a magical place where you pronounce your love to your favorite person and become forever dedicated to each other. Whichever wedding venue you choose, it will always remain an important symbol in your lives, and knowing that you found the perfect fit is a special feeling.